Ethiopia is one of the major allies of the west in the fight against terrorists and many argue that this is one of the reasons why the international community turns its blind eye to this disaster-in-the-making and the regime’s barbaric acts and dangerous ethnic politics. It is a terrible truth that the silence of the international community is not making Ethiopia safe and the region stable. Instead, it is making the country less stable and increasingly unsafe. The international community still believes that the government in Addis Ababa is a key partner in improving the deteriorating peace and security in the region. 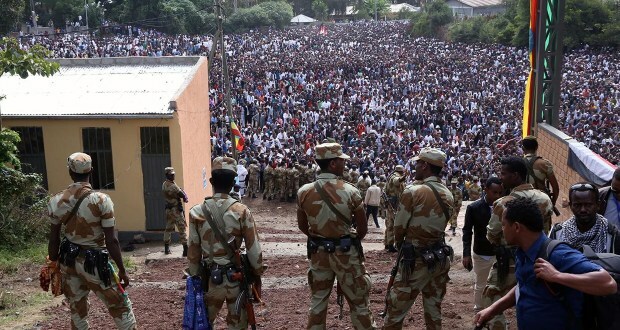 This is a result both of wrong calculations and the shrewd politics of the regime in Addis Ababa. The fact is, however, that the government in Addis Ababa is what is turning the nation into lawlessness.